WINTER GARDEN – Somewhere in the second mile of Saturday’s Highlander Adventure Run, slogging through waist-deep, black, barnyard-smelling mud yet again, I began to wonder which direction the booming obstacle race category is headed. 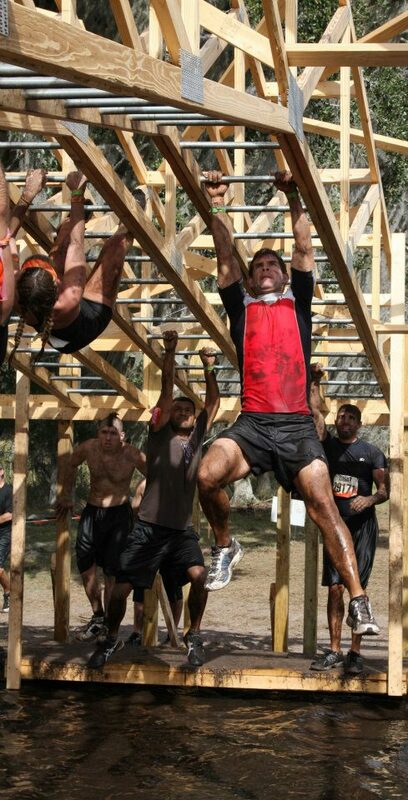 Is it progressing more toward the obstacle race (Spartan Race) model or the mud run (Tough Mudder) experience? The difference might not be noticeable if you haven’t done a number of these events in the last year. It’s been just 11 months since the last Highlander was staged and it’s remarkable how much the category has evolved, and not just in the countless number of events that have sprung up in the Sunshine State. There were nine flyers for upcoming races left on my windshield. Jonny Simpkins and Wendy Carson of Rock On Adventures have done a terrific job growing The Highlander Run and I lost track of the many obstacles and challenges around the six-mile course at the YMCA Roper Ranch. They’ve taken advantage of making the property their permanent home and it showed. Rock On did have some water issues, which Simpkins was quick to point out in person post-race and by apologizing profusely online. They ran out of drinking water on the course and water for the post-race showers, which was to have come from clean well water. That malfunctioned, leaving athletes to shower with dirty water from one of the water obstacles. Simpkins has pledged that won’t happen again and has earned the benefit of the doubt for putting together another solid race (along with the Yak-a-Thon, Monster Bash Dash, and the TGIF Twilight 5K) that included beautiful light-blue Tultex T-shirts, organized registration, no parking fees, a cool kids race, and perhaps the best combination of obstacles we’ve seen yet. There were multiple sand bag carries, a tire carry, zipline, 12-foot leap into water, monkey bars, rope climbs, numerous walls, going over and around trees, and a few creative touches that seemed right out of the county fair: running/jumping in a burlap sack and walking bent over on wooden shoes attached with short rope handles. It was hard to avoid the county fair smell, of course, and we can’t recall an event with so many mud crossings and crawlings. The most challenging was carrying a sandbag through waist deep mud for 30 yards, a death slog made even more difficult if you weren’t wearing toe shoes. 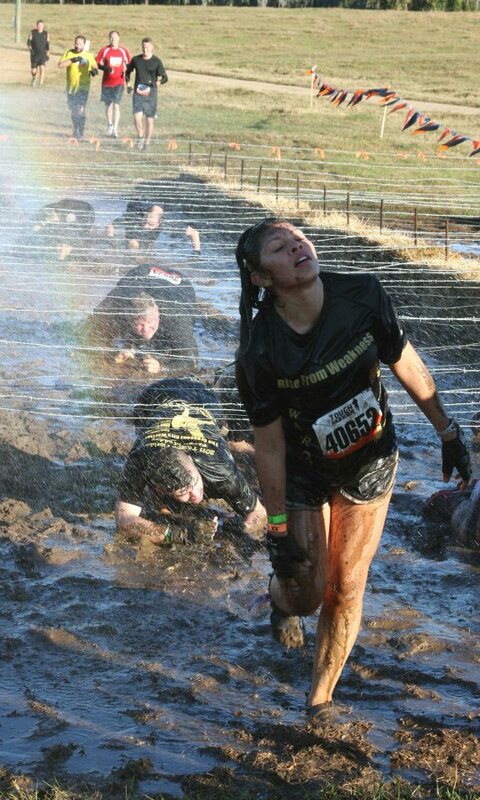 Which brings us back to the obstacle race/mud run debate. There’s no question mud is a main attraction to these events. That’s what produces the money-shot Facebook photos that have driven this category ever since Tough Mudder and Warrior Dash broke out early in 2010. Long before those races, Muddy Buddy delivered a similar experience with its race-ending under-barbwire crawl to the finish line. Desena thinks obstacle racing will evolve into a competitive sport, perhaps even an Olympic one, but he thinks it’s about the physical challenge. Tough Mudder founder Will Dean, who tends to throw more mud into the mix, sees it as a group bonding experience and does not issue timing chips or even score the race. Which is it? It’s both, of course, and perhaps Highlander managed to be all things to all people. For now, more mud is the better marketing strategy to lure first-time participants. 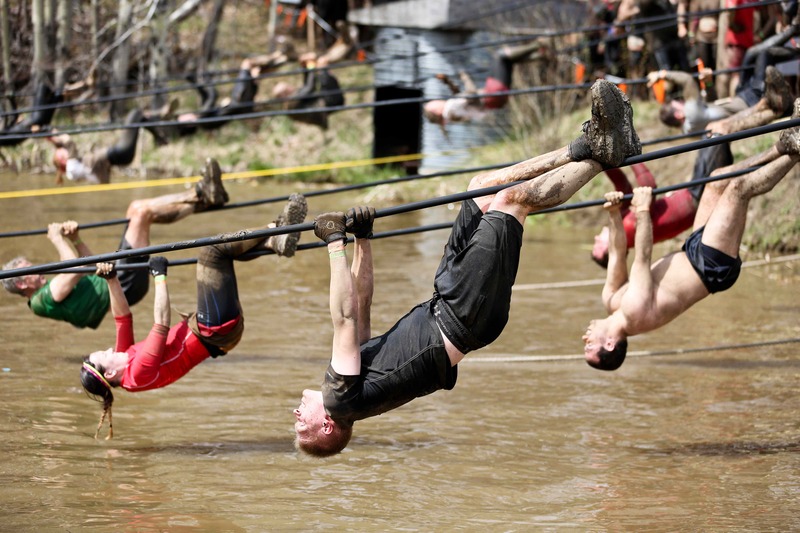 Tough Mudder, after all, draws more athletes than Spartan Race. There’s a happy medium and for that look no further than Wipeout. Races might want to think about focusing less on mud and more on water. Last year’s Highlander was held at a different property and Simpkins, who owns an irrigation company, put those skills to good work with a rapid-fire series of obstacles at the end through water that wasn’t that muddy. There were more water obstacles and lakes worked into the mix and a killer 150-foot water slide at the finish line. There was no need to shower before you got home; the mud was washed off already. The Dirty Foot Adventure Run two weeks ago had only a couple truly muddy obstacles and a 150-yard, race-ending swim to clean you off, though even Dirty Foot fell prey to the Fear Factor mud/muck marketing emphasis with a slog through some nasty slime that didn’t come off quickly. It’s a fine line to walk and, for now, it seems more mud/muck is the answer. There are a lot of first-time events coming to Florida in the next six weeks, most with “Mud” or “Mudder” in their title. So we’re likely to see even more mud. But we’re guessing the longer term play will be more about obstacles and racing and less about getting stuck in the mud. We recently interviewed Tough Mudder founder Will Dean for a story on the growth of obstacle racing that will appear in next week’s edition of SportsBusiness Journal. We spoke to more than a dozen people for that story. Dean talked at length about Tough Mudder and the future of this growing endurance sports category. Since only a few of those quotes were part of the SBJ story, we thought we’d include more of the interview here. Dean, 31, might be the modern version of Fred Smith, the billionaire founder of FedEx who as a student at Yale in the early 1960s received little reaction from his professors after writing a paper proposing an overnight delivery service. In 2009, Dean’s Harvard Business School professors thought his project for an event that would become Tough Mudder was unrealistic. These days Dean, who once worked as a civilian counter-terrorism officer in Great Britain, heads up the hottest race property in the endurance world. 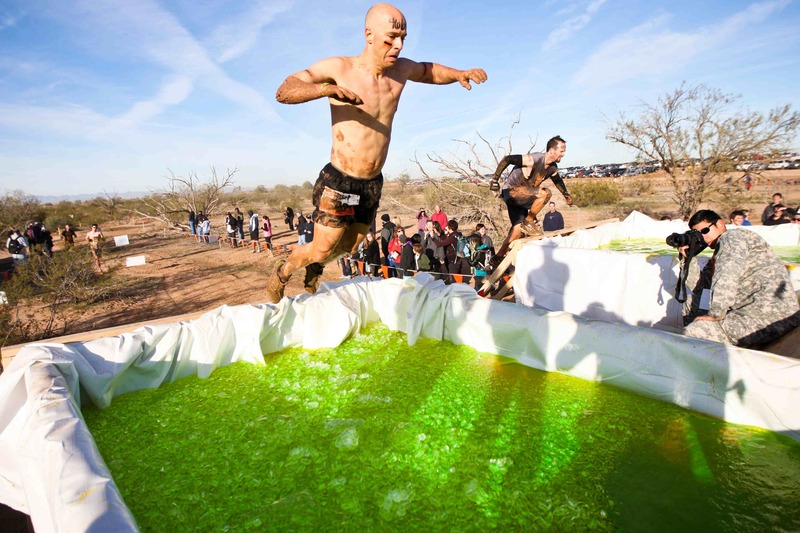 This year the Brooklyn-based Tough Mudder will attract 470,000 participants to its 35 events and generate $70 million, including six-figure deals with a dozen sponsors. Dean says revenue will double in 2013. Tough Mudder, which only debuted in March of 2010, is not a race but a challenge. Athletes are encouraged to participate as a team in the 12-mile, off-road course, which includes obstacles that challenge the mind as much as the body. 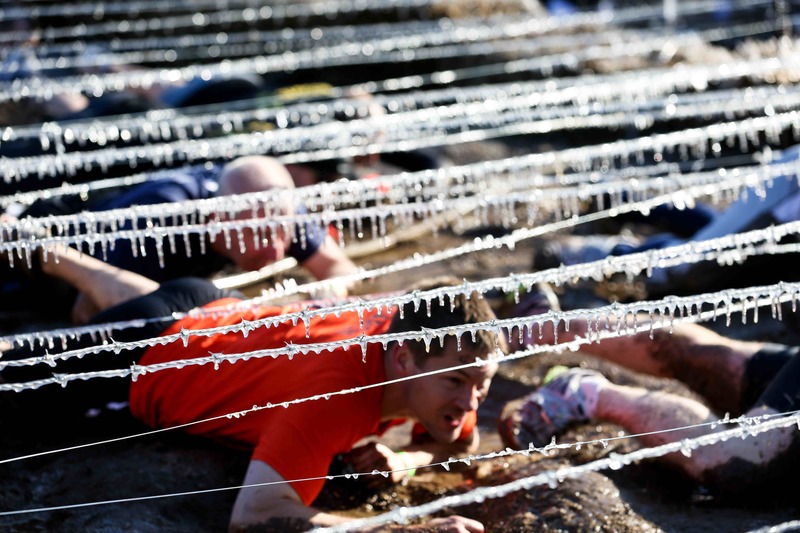 There are plenty of walls and ropes, but the event is best known for its dumpster of ice water, its electrically-charged gauntlet of wires, and its signature orange finisher’s headband. Tough Mudder exploded at the same time Facebook became ubiquitous and that’s no coincidence. Dean says Tough Mudder has been Facebook’s No.1 advertiser, having spent millions on the social networking site. 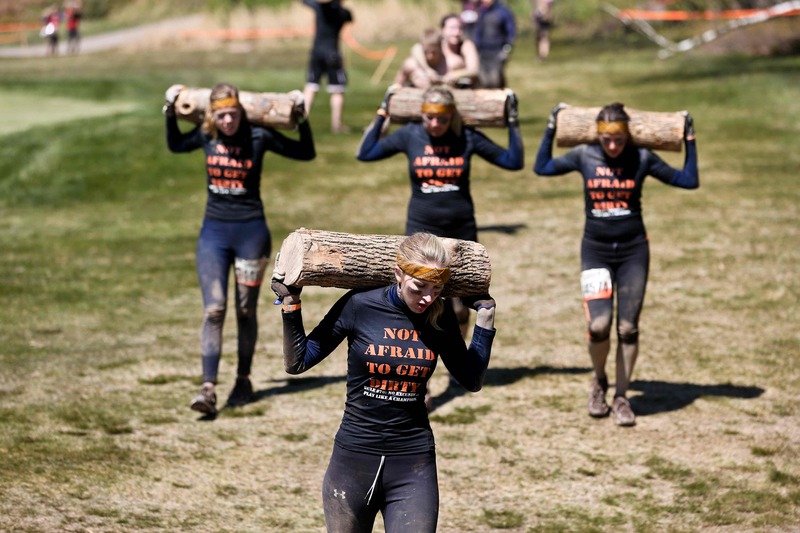 If you’ve spent any time on Facebook, you’ve no doubt seen pictures of muddy friends in their orange headbands. 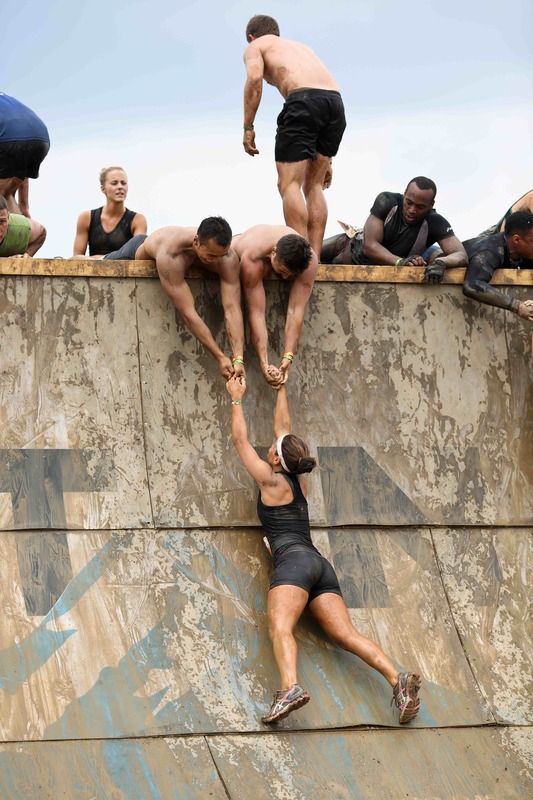 In many ways, Tough Mudder and its competitors such as Spartan Race and Warrior Dash have become the new triathlon, the Monday morning water cooler or Facebook bragging rights. 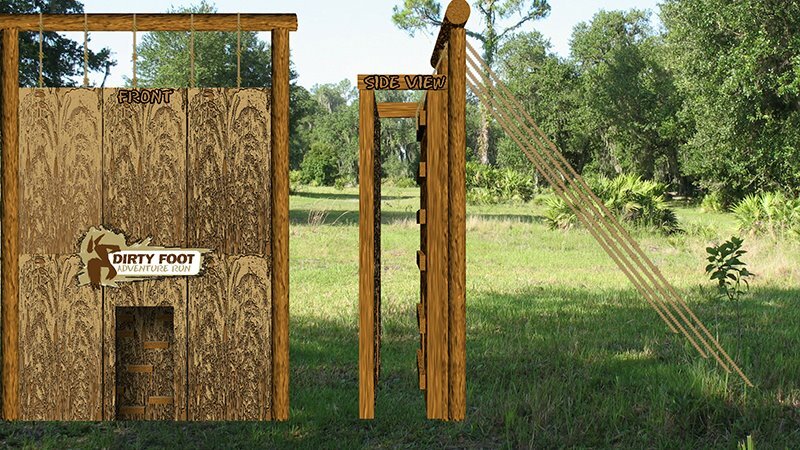 Tough Mudder, which debuted in Florida last year at Little Everglades Ranch in Pasco County near Tampa, returns to the Sunshine State Dec. 1-2 at the Hi Hat Ranch in Sarasota. Q: How big can this obstacle mud category grow? 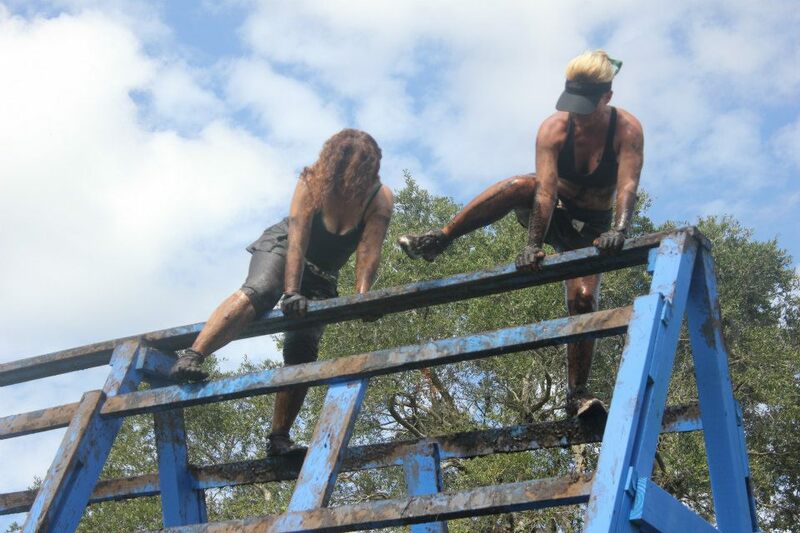 A: In my mind you have really three distinct obstacle racing events. It’s like looking at road racing and putting 10K and marathon in the same group. They’re clearly quite different. Marathon is a category. Obstacle race is a pretty wide category. We would actively choose to exclude ourselves from the obstacle race group. There are no prizes at Tough Mudder; it’s not timed. There are no medals and the focus is on teamwork and camaraderie and lots of people helping each other. There are really few people treating it as a race. Q: What’s fueling interest in these events? 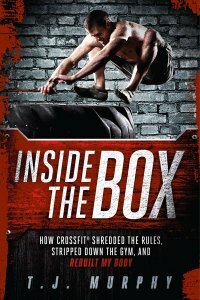 A: First, from a fitness perspective, the shift to functional fitness with P90X and CrossFit. 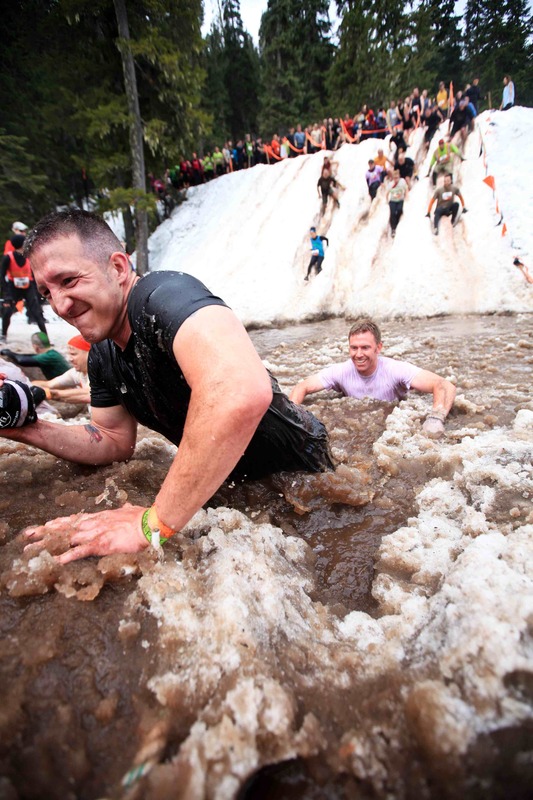 At Tough Mudder, we’ve positioned ourselves, if there is a category, at the high end of that. We expend a phenomenal amount of money on obstacle innovation and construction. I’m pretty confident that our budgets are significantly higher than the other muddy obstacle course challenges out there. People come for the obstacles, but it’s about creating a whole integrated user experience. It’s really a whole weekend concept and that speaks to the second thing, which I believe in very strongly: Experience is the new luxury good. Not just in the endurance space. People talk about what restaurant they’ve eaten at, climbing Mt. Kilimanjaro, bungee jumping, whatever. That’s far more important than what sort of iPhone you have and I think we’ve captured that. One thing I realized early is that when people do their first marathon, they talk about how they hit the wall at mile 20 or mile 22 and how some person they’ve never met comes along and they run it in together. They talk about how meaningful that is for them, that shared experience and the bonding that comes with that. 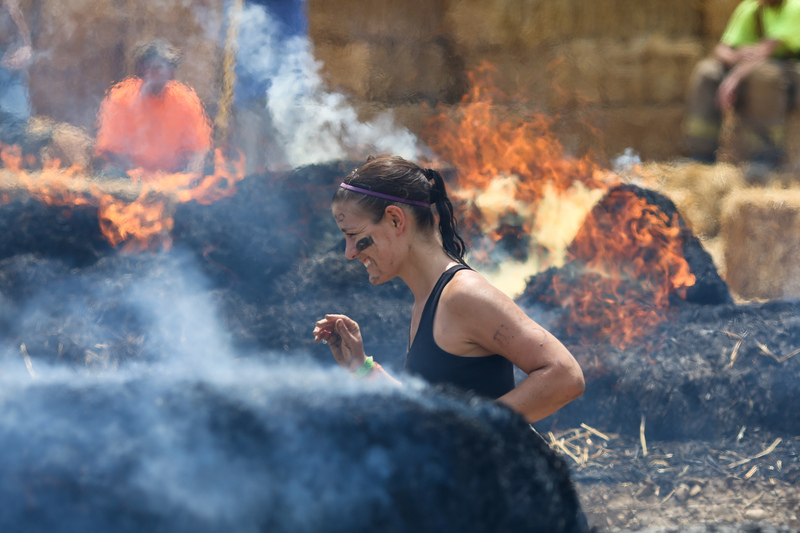 At Tough Mudder, we try to create a variety of obstacles that test you in different ways. Regardless of your body type, shape and fitness, there will be something that will get you outside your comfort zone. We try to create that moment every 10 minutes, that moment of intense bonding on the course. I’m not a sociologist, but with Tough Mudder you realize that even though we live and work in a world where we’re surrounded by people, we really don’t have much meaningful interaction with people. Here in New York, we specialize in avoiding eye contact with each other on the subway or getting out of the car. There’s this irony that all this social networking gets us connected with more people but on the other hand it gets in the way of more meaningful connections. At Tough Mudder, we created this very earnest, sincere, frankly kind of irreverent event that’s not a race, one that doesn’t take itself too seriously. We position ourselves as the opposite of the Ironman culture. You can help someone if they want assistance. 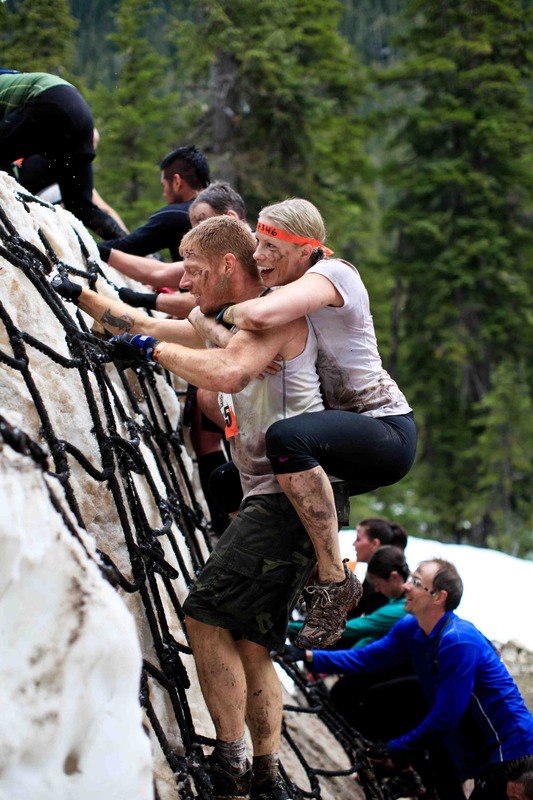 Tough Mudder is about conquering your own Everest and being proud of what you’ve achieved. For some people it’s about getting around the course in an hour and 45 minutes and for other people it’s just about doing it. Looking at the industry, Warrior Dash is in the fun mud run space. Tough Mudder is the tough obstacle course challenge and Spartan Race is about an integrated racing experience. And while superficially they look similar – we all have mud and walls – they’re three very different events and value propositions. People often ask me if Spartan Race is a competitor and I say not at all. It’s good for us in exactly the same way that for Boston that New York exists and vice versa in the marathon space. Tough Mudder is and always will be an event that’s about more than just the obstacles. People will call it a race because we have a start and a finish line and water stations in between that make it look like a race but that’s not what we aspire to do. It’s this whole weekend experience where guys – and it is 80 percent men – get together for a weekend away and it’s almost a bachelor party for a lot of people. Tough Mudder is tough and it beats you up, but if you’re in good shape you’ll finish Tough Mudder and still walk to the bar that evening. You see a lot of people wearing their headbands to bars after and that speaks to the experience component of it. 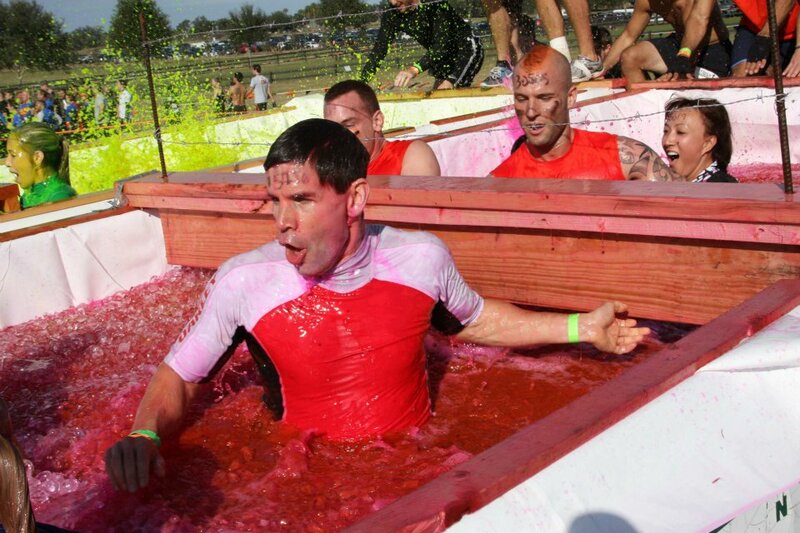 Q: Your Harvard Business School professors didn’t think too much of Tough Mudder. What made you think it would work? A: The vast majority of my professors said, “How are you going to sell a race that’s not a race?” You’re going to have huge liability issues and it will be a real challenge trying to scale this event. Business school professors are very intelligent people but it’s hard to imagine something that doesn’t exist. And a lot of (professors) struggled to envision a world where people would spend this amount of money on an event like this. At the time I was in my late twenties doing triathlons and marathons and all people would ask is what my time was. That was the only metric. I’ve done races where people were screaming at me to get out of the way, especially in triathlons. I remember asking for help to get my wetsuit off in a triathlon and a guy said he couldn’t. It would have taken all of three seconds. It’s not like this is your profession. There’s no prize money at stake. I believe there’s no such thing as a good business idea; there’s just good business execution and that comes down to having good people on the team. It all comes down to understanding what problem you can solve and why. I was this guy in my late twenties who enjoyed staying healthy, but I had a full-time job and I couldn’t spend lots of time in the gym. I wanted an event I could focus my training on that required more than aerobic fitness and I wasn’t looking for it to be a race. I knew I wasn’t alone in thinking that way. A lot of professors said it was a bad idea and that I should take a job with a large management consulting firm but I think you have to believe you’re an entrepreneur even if everyone else in the world is telling you that the baby you’re holding is ugly. You have to believe that it’s not. Q: How do you address the liability issue? A: Any activity is potentially high risk. It’s about building world-class systems and we’re very proud that nearly half a million people will do our events this year – after more than 150,000 last year – and we’ve had no fatalities. Statistically, over the course of any day at home watching TV, at least one of that many people might have had a heart attack. 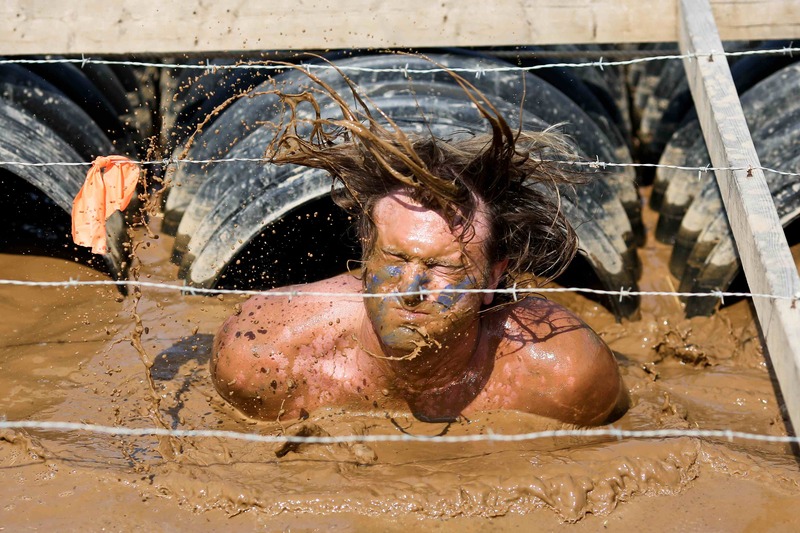 Tough Mudder is about getting you out of your comfort zone. The adrenaline is pumping when you’re jumping into a dumpster full of ice, but it’s a somewhat controlled environment. And in some ways it’s like a high ropes course. You can say that if you fall it doesn’t matter because the harness is going to catch you after three feet. But your brain doesn’t think that way. What it sees is that, ‘Wow I’m 50 feet up here and if I fall I’m screwed.” One of our concerns is that there are hundreds of smaller events popping up. From a commercial perspective, having them do well is good for us. If the Des Moines Marathon does well, it’s good for Boston. But there’s always the danger of putting a lot of new players into the market. You have people who might not be aware of best safety practices. Tough Mudder has spent a lot of money working with the relevant safety people here and overseas to see that we meet and exceed safety standards. We have a $50 million general liability policy with Lloyd’s of London and we have to meet standards. It’s a big cost for us, but the far greater cost is providing all of the safety stuff, including 100-plus personnel at any event. We have ambulances, local hospitals briefed, and Medevac helicopters in place at more remote events. Q: How has Tough Mudder drawn so many sponsors? A: The days of being able to drop a lot of money on NBC and reach men in their 20s and 30s are gone. They’re looking for ways to engage with me. It’s a challenge and that’s why you see Super Bowl commercials selling for what they are. We’ve had 1,100 people have the Tough Mudder logo tattooed on them and that speaks to the engagement people have. Tough Mudder is a real life Fight Club. 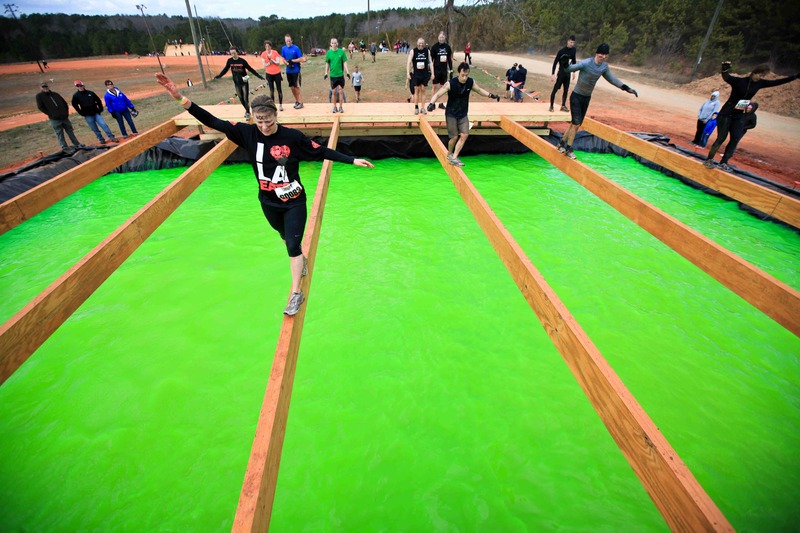 You have obstacle racing, but Tough Mudder is this beast in an off itself. We have very high levels of Facebook engagement. If you look at our major sponsors – Bic, Under Armour, EAS, Dos Equis – they know there are lots of places with 20,000 or more people in one place. A stadium, sports event, wherever. But where else can you have this many people with a clear purpose in mind? They’re not just thinking about a game for two hours, but thinking of this experience for weeks leading up to it and they have real pride. They’ll wear the headband to work. Brands realize that we have something really unique, a fantastic activation program. Q: How fast is Tough Mudder growing? A: We’re hoping for a million participants in 2013. We’ll be at $70 million this year and that should double next year. We have a 50,000 square foot warehouse in Brooklyn and six 53-foot trailers. That will double next year. We also have warehouses in the UK, Canada, and Australia. It’s like a traveling circus. For a typical event, we’ll have 10 to 15 of our headquarters-based staff and another 200 staff plus volunteers. At out Sydney (Australia) event (Sept. 22-23) we’ll have 40,000 participants and easily could have had 70,000 if we did not have to cut it off because of the venue’s capacity. Q: It sounds like Tough Mudder is huge in Australia. A: Earlier this year we had an event in Melbourne. I touched down at the airport, having never been to Australia. The immigration officials assumed I was from Great Britain, but I said I lived in New York and worked for Tough Mudder. When I mentioned I was the CEO, all these immigration officials came over. Many were doing the event that weekend. It’s all still amazing to me because if you look at the original business plan, which I have new employees read, we projected 7,500 people competing in year four. Now we’re heading into year four and will hit one million. Competitor Group Inc., the endurance sports conglomerate that includes the Rock ‘n’ Roll Marathon Series, Muddy Buddy, the TriRock triathlon series, and a number of prominent industry magazines, is for sale, according to Daniel Kaplan of SportsBusiness Journal. Falconhead Capital, the equity fund that owns Competitor, has been shopping the firm, according to Kaplan. In a summary of the executive prospectus obtained by SportsBusiness Journal, Competitor expects to generate revenue of $126 million in 2012. In January of 2008, Falconhead purchased Elite Racing Inc., which puts on the Rock ‘n’ Roll Marathon Series, along with La Jolla Holding Group (Triathlete Magazine), Competitor Publishing Inc., and Muddy Buddy, the bike-and-run obstacle relay series. The new company became Competitor Group Inc. Riding the wave of interest and growth of endurance sports that has continued despite the economic downturn, CGI has expanded its own events, created one (TriRock Triathlon) and acquired others, including the Nation’s Triathlon in Washington, D.C. In June, CGI purchased Women’s Running Magazine and the Lady Speed Stick Women’s Half Marathon Series, both based in St. Petersburg and created by Dawna Stone. It’s not unusual for a private equity investor to sell after a period of four years, especially given the industry growth that has occurred since 2008. CGI, perhaps more than anyone else in the industry, has capitalized on the growing interest in half-marathon or “13.1” mile racing. Stone was among the first to recognize the lucrative women’s running demographic and her properties no doubt will add to Competitor’s eventual sales price. At the same time, Competitor was slow to embrace the booming obstacle race category. 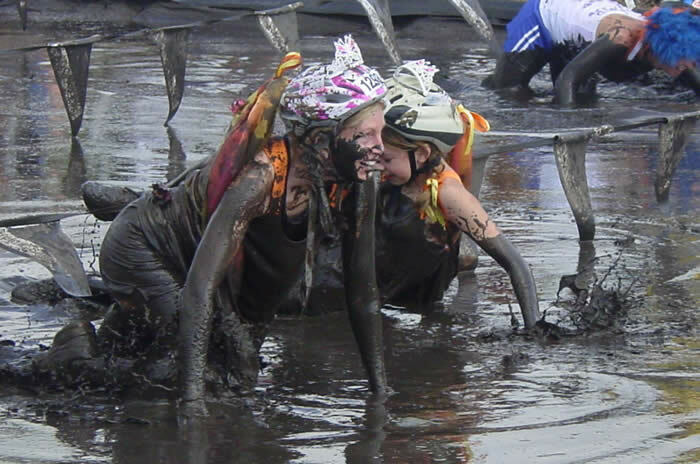 Muddy Buddy, the biggest national series as recently as 2008, contracted from 16 to 8 races this year as events such as Tough Mudder and Warrior Dash cut into its market share. Kaplan noted that when Falconhead formed CGI in 2008, the company had just 16 races. Today there are 75, making it the largest operator of endurance events in the country. WINTER GARDEN – The inaugural TGIF Twilight 5K here Friday night was a preview of what will be a four-race, Friday night summer series next summer, sort of Orlando’s answer to the longstanding Picnic Island trilogy in Tampa. The TGIF was a tweak on the same obstacle-laden course used by Rock On Adventures for its Monster Bash Dash in May (minus the zombies) and part of the Yak-a-Thon race in July. That’s a good thing. Rock On’s Jonny Simpkins created the popular Highlander Run last year, staging it twice in Bartow, but has moved it to the sprawling Roper Ranch, which has become the home of a year-long series of endurance challenges. Events such as the Monster Bash, which returns in October for Halloween, along with the paddle-bike-run Yak-a-Thon and TGIF, have served as tuneups of sorts for The Highlander. Simpkins, who has a background in motocross and as the owner of an irrigation company, has been able to spend months building obstacles, which will remain in place indefinitely. That gives him a bit of an advantage over some races that switch locations or, at the very least, must construct their courses in a matter of weeks. Athletes who ran TGIF got to test a few Highlander obstacles after the race. Those included a 12-foot platform and plunge into water and a zipline. They also got a look at some monstrous tire and wall obstacles. 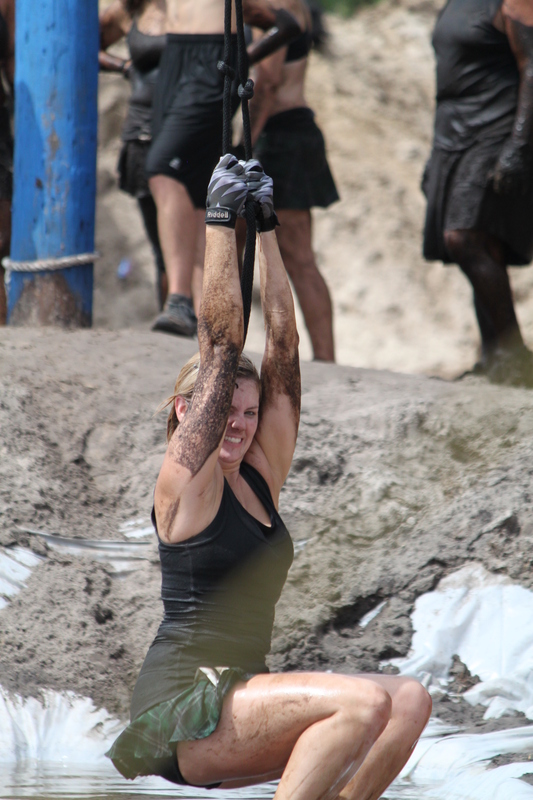 It’s hard to believe, given the number of obstacle races that have debuted in Florida this year, that it’s been only 10 months since the last Highlander race. It seems much longer. Remarkably, nobody has tried to duplicate Rock On’s winning formula that includes not charging for parking and providing soft, fitted, Tultex T-shirts that athletes actually will want to wear. (They gave out another for the TGIF). Like Picnic Island, the TGIF provided custom awards to the top 30 male and top 30 female finishers – glasses featuring the race logo. Also like Picnic Island, the race attracted a younger demographic that seemed to enjoy hanging out after the race ended. We’re guessing more than a few will return for Highlander III, which takes place on Saturday, Sept. 22.